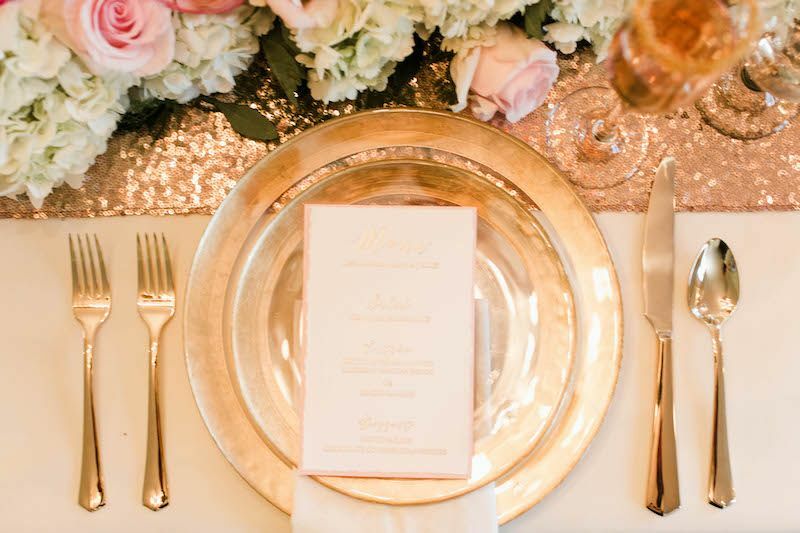 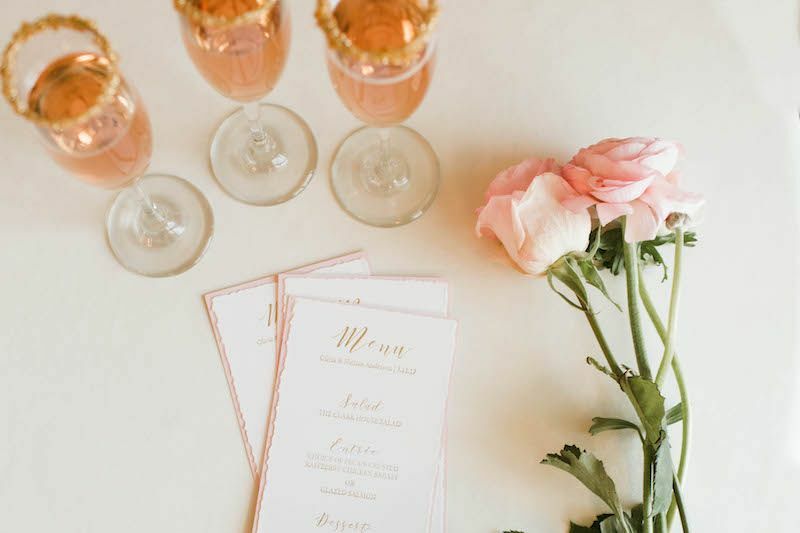 To me, blush and gold never gets old! 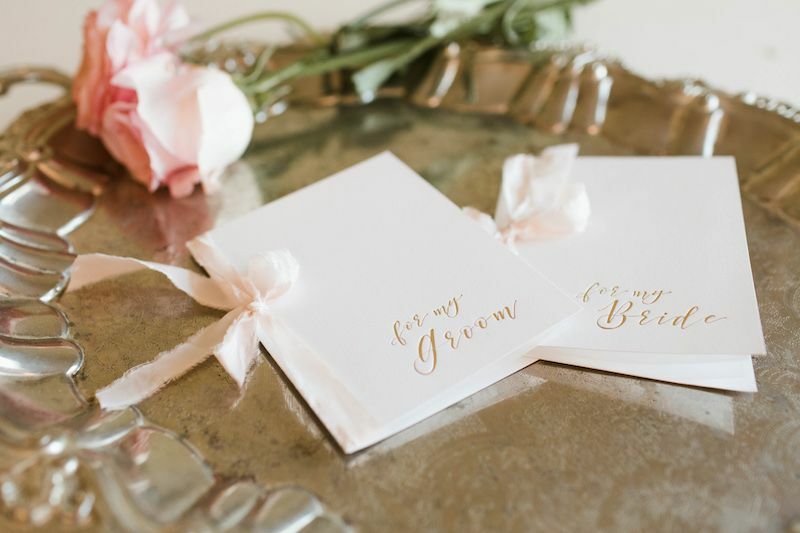 It gives off such a soft and romantic feel to a wedding day unlike any other. 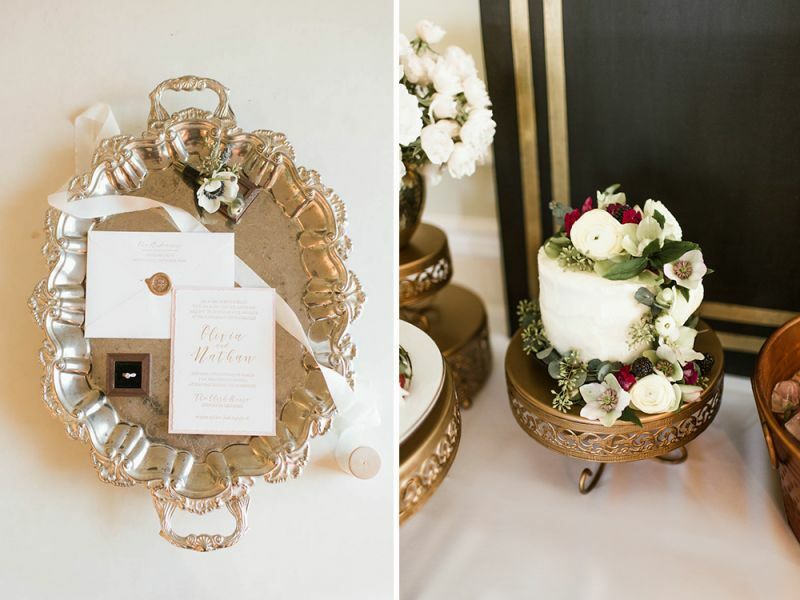 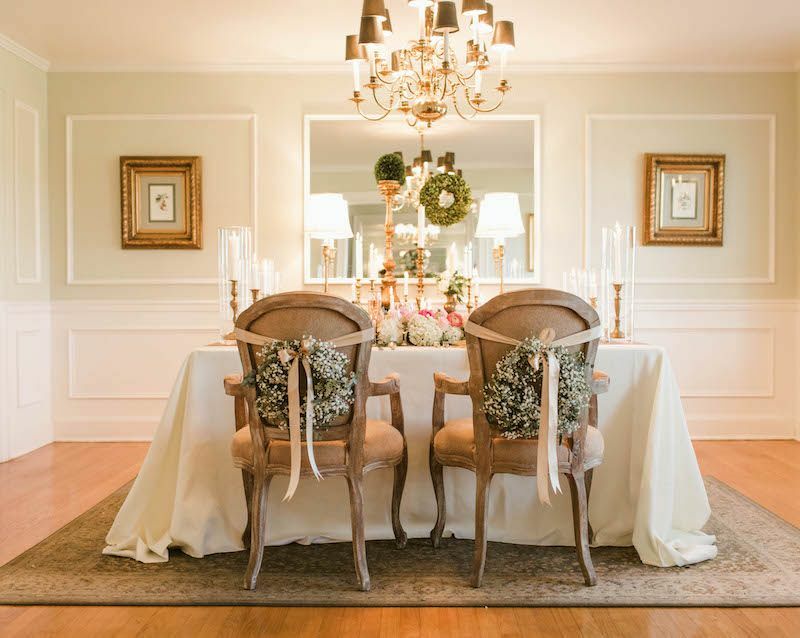 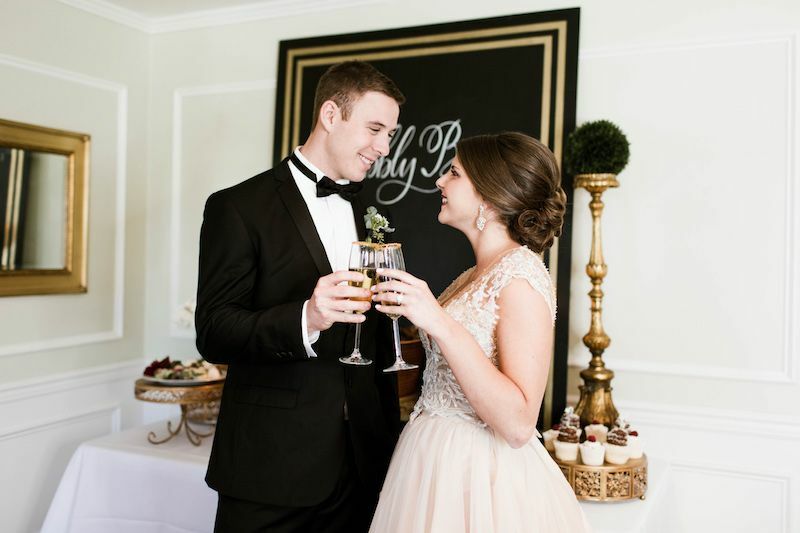 And Raela of RSVP Events went for it in this beautiful styled shoot! 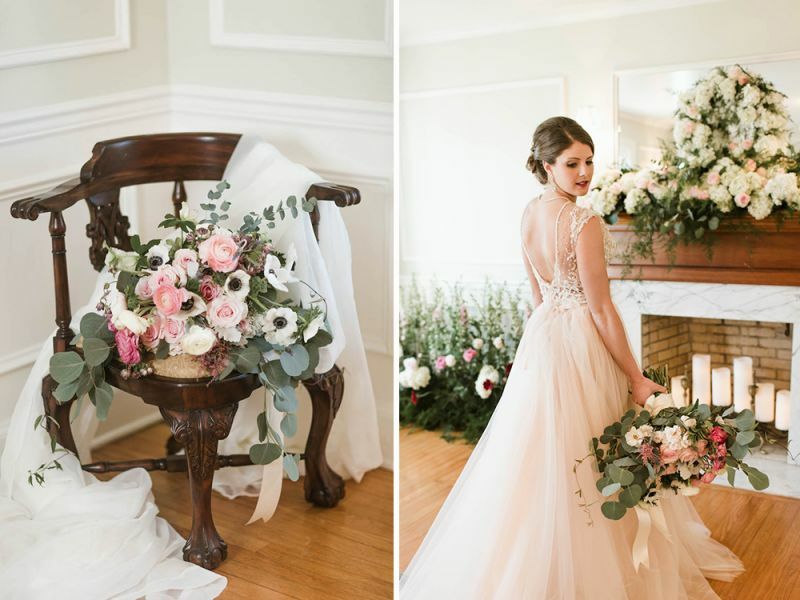 I cannot get enough of how elegant and spot on the styling is in the shoot and I am so happy to feature it today! 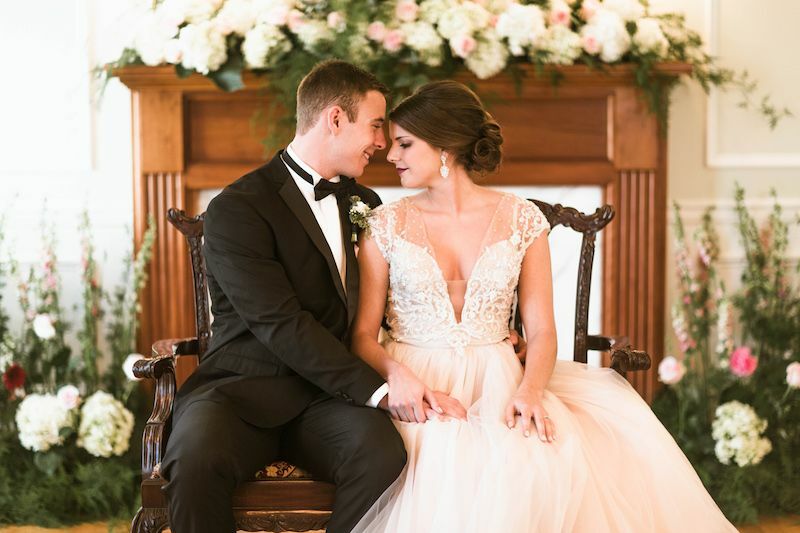 Even the bride's dress is blush! 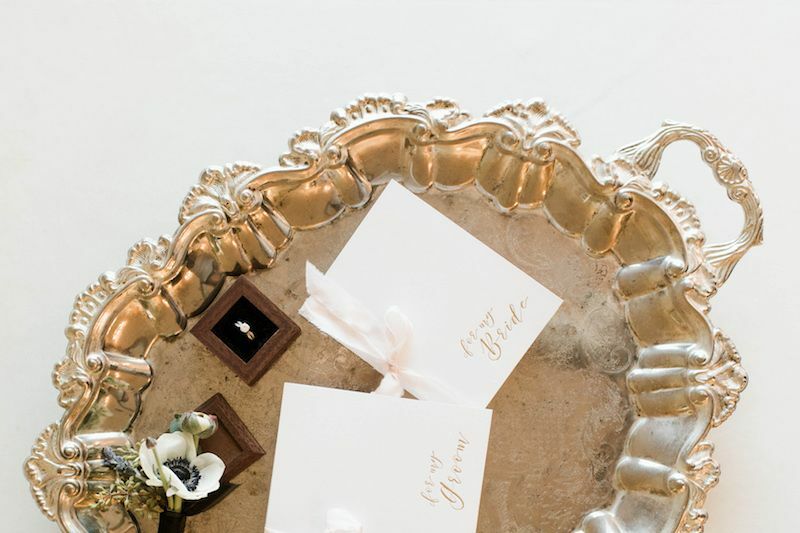 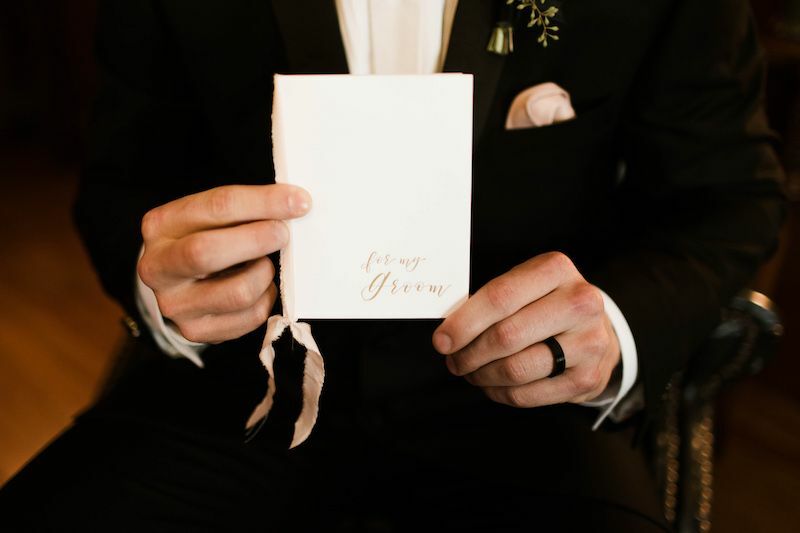 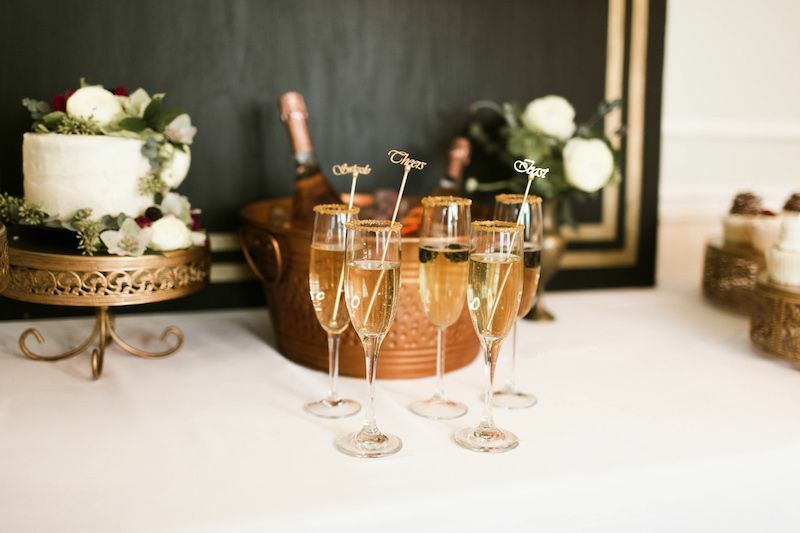 From each detail like the hand lettered wedding invitations to the custom bubbly bar, the scene is set for one stunning day. 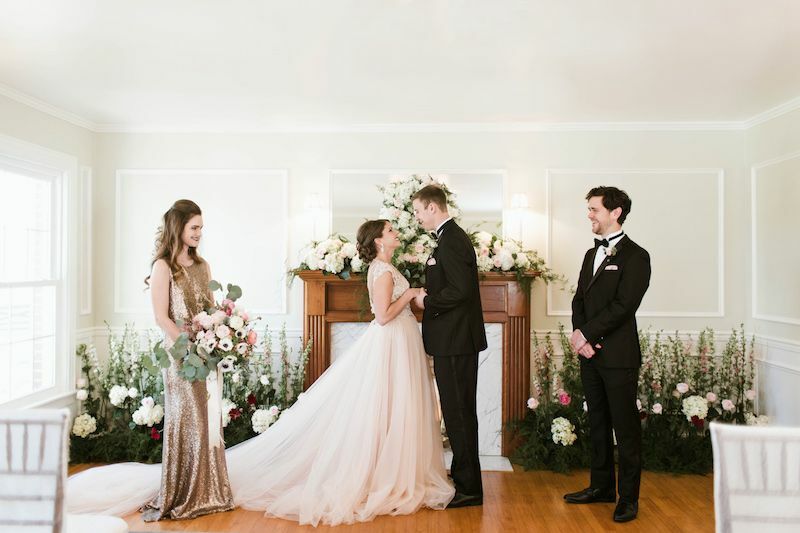 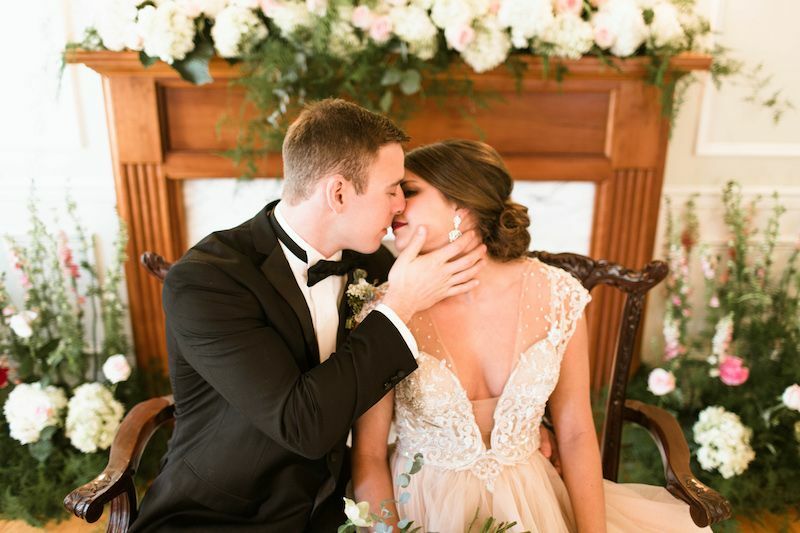 With The Clark House as the backdrop for the intimate day, they even created an indoor garden against the beautiful mantle inside the historic home. 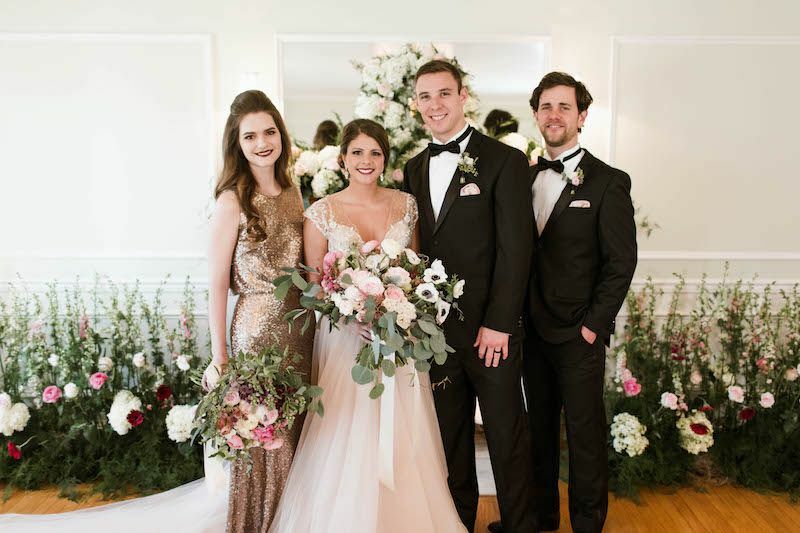 Keep scrolling below to see all the gorgeousness! 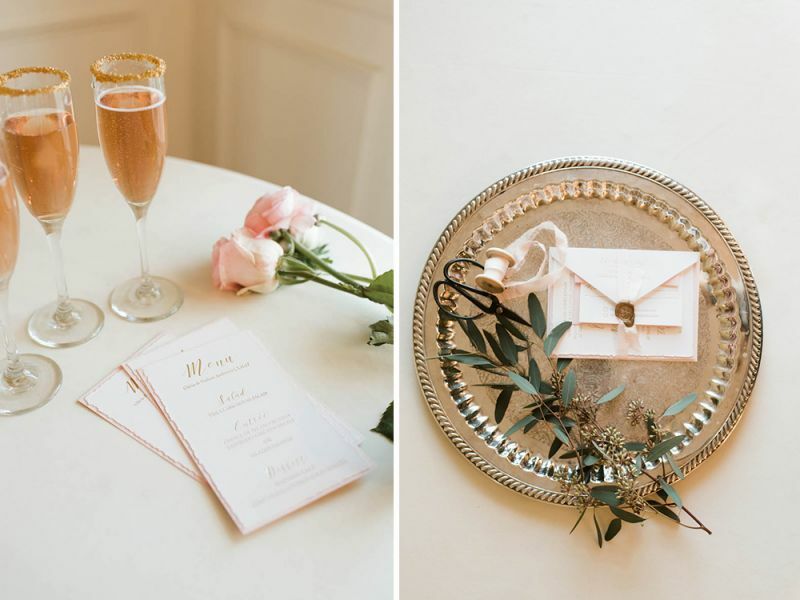 Paper Goods | Wild Timber Design Co.
From the designer + planner, Raela of RSVP Events: Our concept for this wedding inspiration was an ethereal, romantic indoor garden. 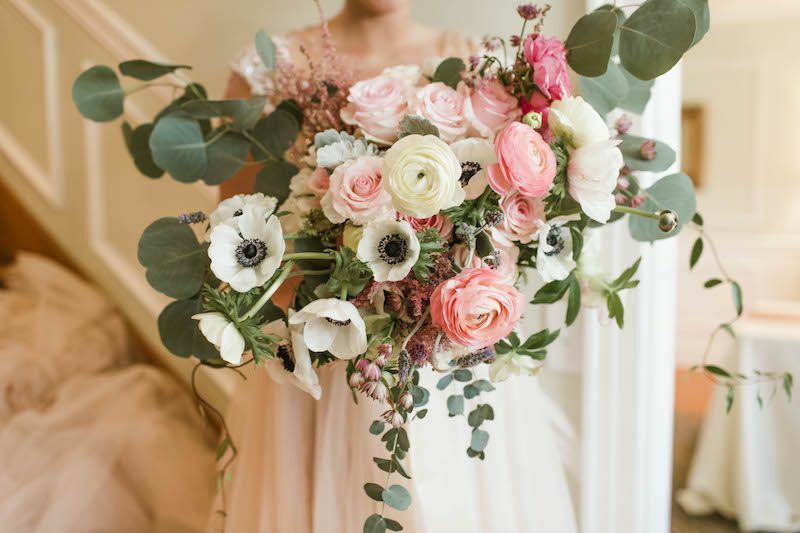 Cascading blush tulle and lush bunches of ranunculus and anemones set the ultra-romantic vibe. 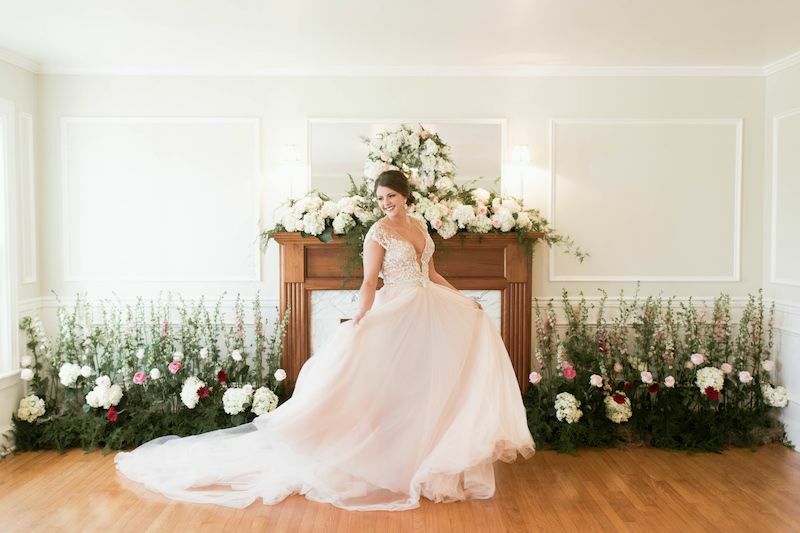 The bridal gown's blush train trailing the staircase surrounded by glass elements and flickering candles creates an intimate yet elegant entrance. 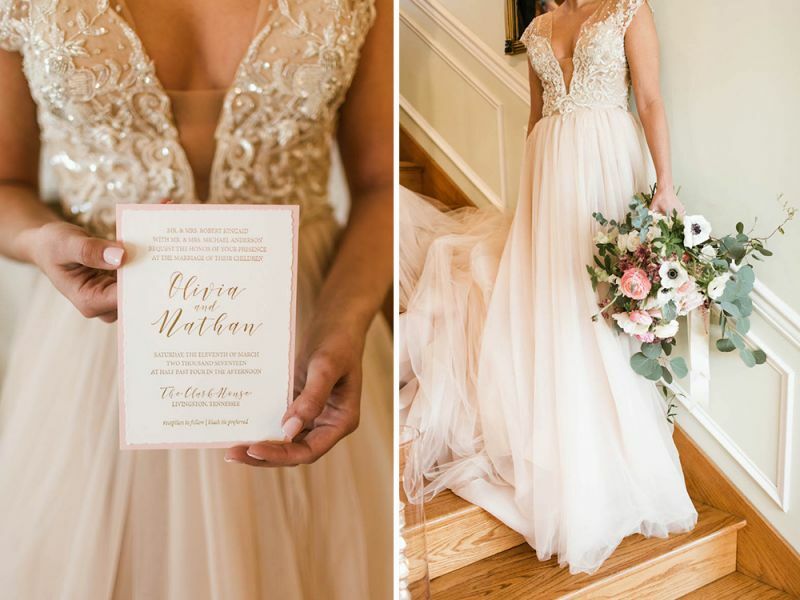 The high detail of the gown's bodice is continued in a custom invitation suite-- a custom wax seal, blush silk ribbon, and cotton paper with hand-torn edges are the perfect first impression. 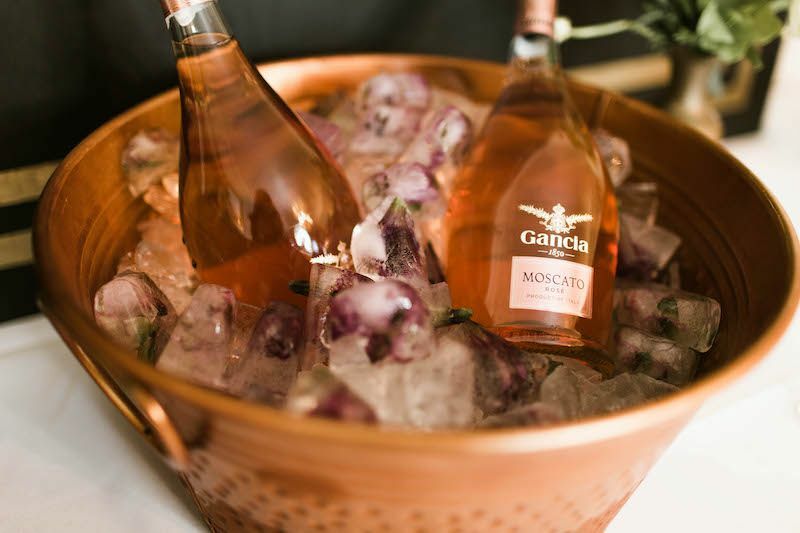 The garden continues to the reception with a heavenly ranunculus and hydrangea garland, champagne chilling among frozen alstroemerias, and blossoms winding around the cake. 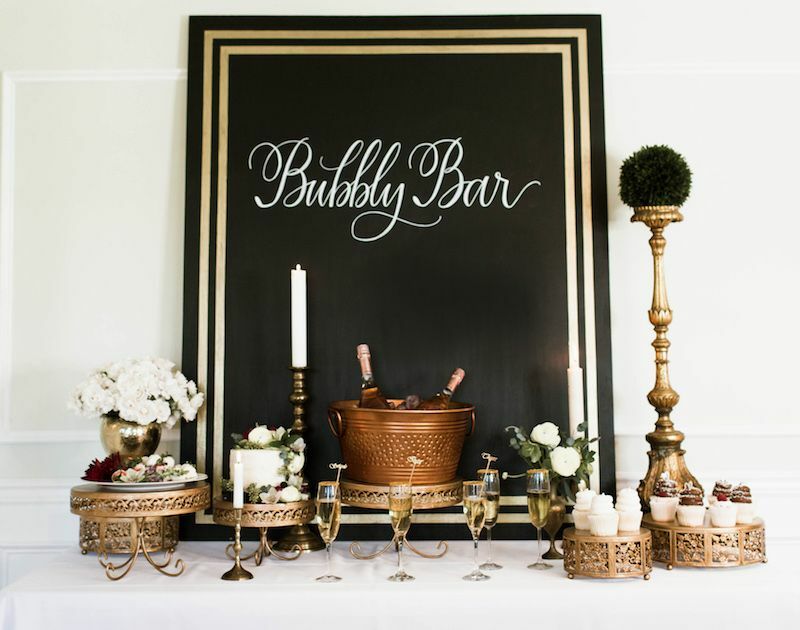 Candles dot the table among flutes of gold-rimmed champagne flutes and cupcakes for a sweet closing to the evening. 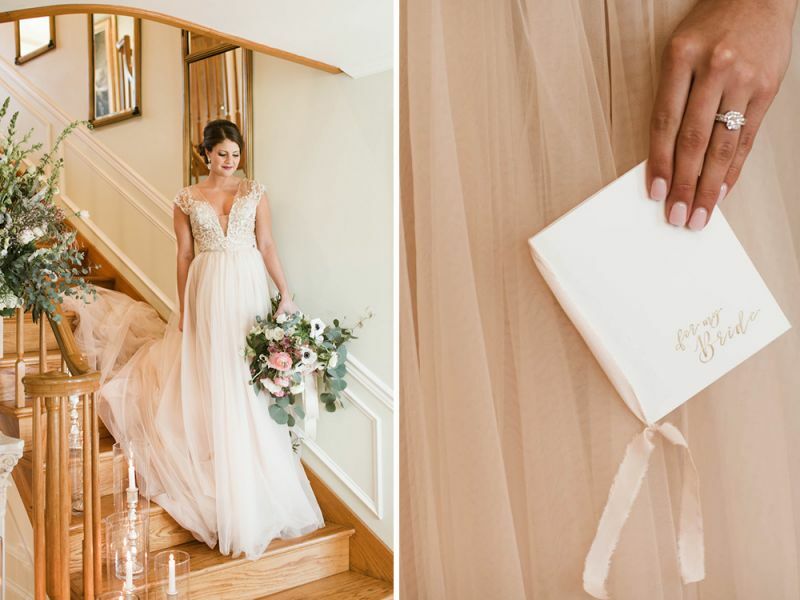 Thank you so much for sharing this incredibly romantic and gorgeous shoot with us, Raela! 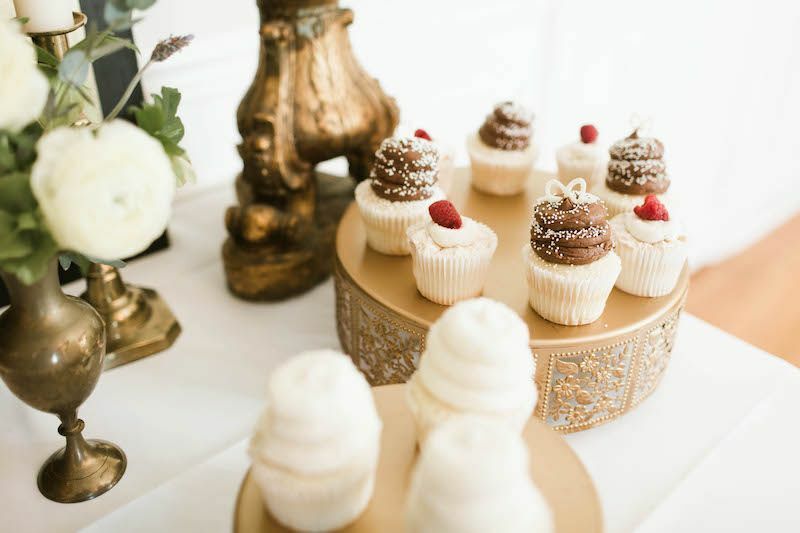 You can check out more of her work here on RSVP Events' website and also here on Instagram!